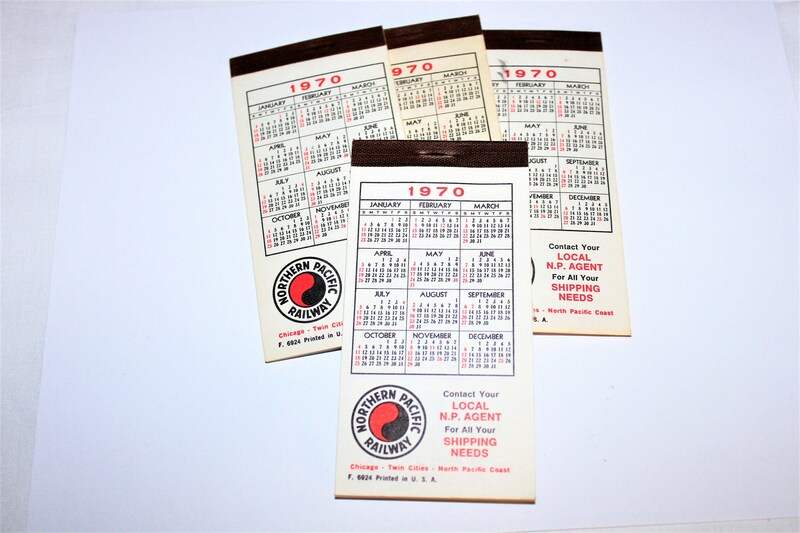 We have for sale a Vintage 1970-71 Set of 4 Unused Northern Pacific Railway Pocket Calendar and Notepad. 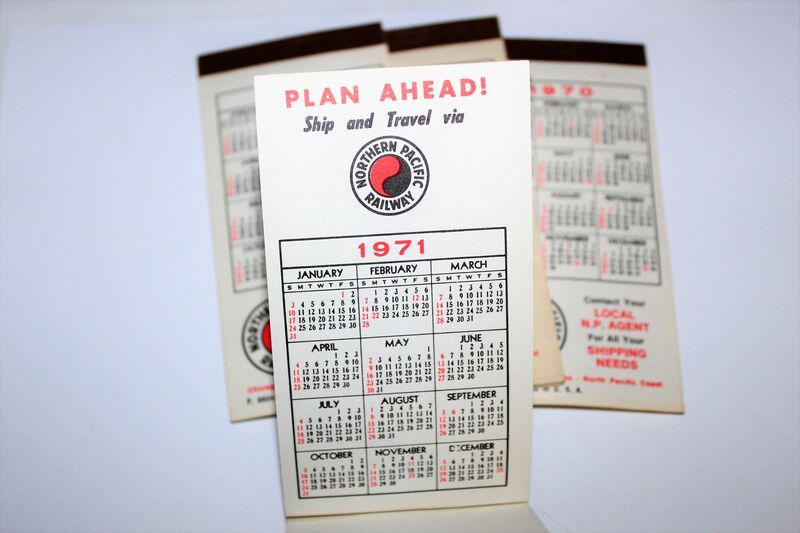 Very nice advertisement notepads from the Northern Pacific Railway Company, each pad has a 1970s calendar on the front cover and a 1971 calendar on the inside of the front cover. These are perfect gifts for any Railroad collector.